How does one become an all-powerful Child of Chaos? That’s what Harley desperately needs to find out before her unhinged aunt raises the death toll. All she knows for sure is that magical kids are missing, and they somehow fit into Katherine Shipton’s grand scheme. 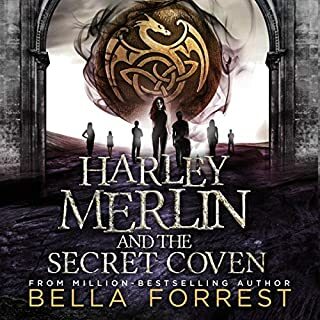 Now that Harley is an official member of the San Diego Coven, she feels more responsible than ever for its protection - and that of the magical world. But she’s got a whole lot more on her plate than that. There’s a traitor lurking within the Coven. She still yearns to know the secrets contained within her parents’ Grimoire. And there’s also the fact that she might actually have feelings for a certain stubborn, green-eyed dude. 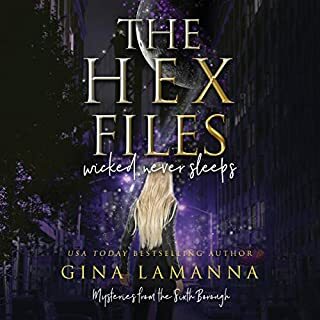 All the while, Santana faces her own demons, with a magical Purge building within her and a crush on a boy with a dark side, one that might just lead them to real answers. 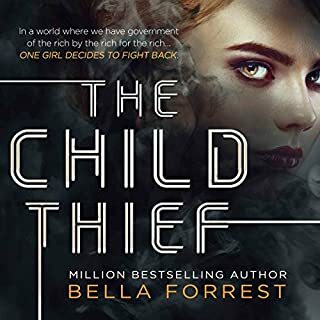 I loved this storyline at the end of book one and was excited to hear more but this series moves at the pace of a soap opera and turned me off somewhat. You could completely skip book 2 or 3 or even both and still get the gist of the story, which means it’s too slow. Other than that, the plot is great but I’m not sure I’ll read book 4. Loving this series!! Very interesting and Amanda Ronconi does a great job narrating!!! Can’t wait for part 4! I have fallen in love with this series. 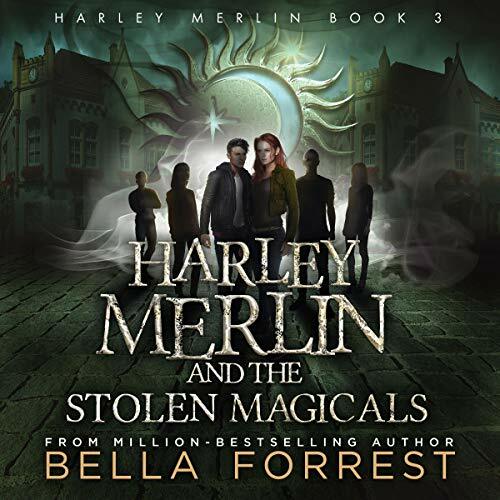 The speakers do such a wonderful job and Harley Merlin continues her adventure. It is a little slower than the last book although it fills in some sparking romances which is nice. 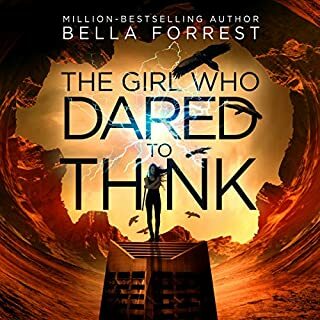 Thank you for continuing the series and placing them on audio book finally! I love hearing the characters personalities! this story continous to improve and keeps me on edge to figure out whats next. I love this journey of great supernatural twists and turns. I am so tired of books that think entertainment must be disgusting descriptions of the depravity of mankind. I read for escape and fun and adventure. This was a fun escape for me! I loved it! Book 3 dragged a bit for me as a lot of time was given to the coupling of several characters. I kept finding myself screaming, “Just get on with it” over and over again. But when it finally got to the climactic scene toward the end, we finally met the crazy witch and got a glimpse of her powers. 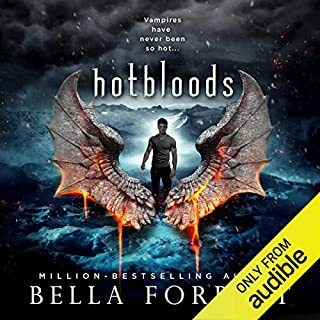 So now I find myself horribly disappointed that book 4 is not available yet on audible and now I have to find something new to keep me distracted. Who is the Librarian? What can little Micah really do? Who is the mole? How is the Jin gonna screw with Santana? Lord! Get it. Hang through the sloooooow parts and you’ll still end up wanting more just like I did. 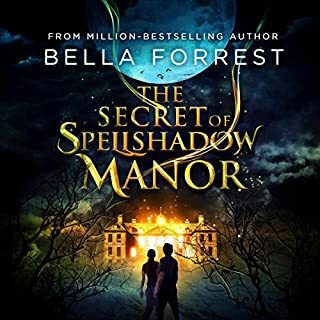 the book was good as the rest of the series so far but a little too focus on gossips and love stories it feel much more teenagers while the actual story actually haven't moved on that much yet. will see what's the next one like!